One joy of being home is getting to cook with my mom. 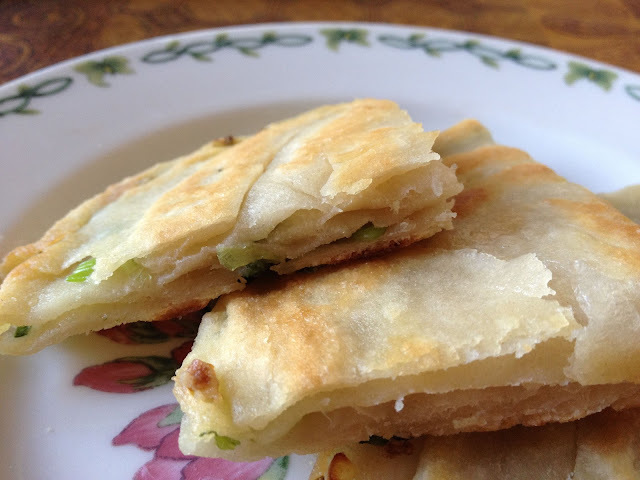 We love trying new recipes together & this time we attempted to make one of my favorite Chinese appetizers, scallion pancakes! 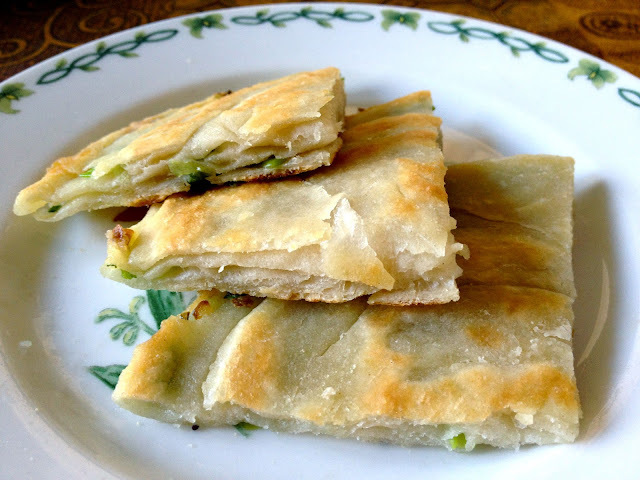 I've always been afraid to attempt this dish because the process of creating layers and layers of dough to make these puppies just seemed daunting! But there has to be a reason why dim sum restaurants are able to pump these out quickly to their hungry customers, right? Right. There's an art to it that makes making the layers super simple. 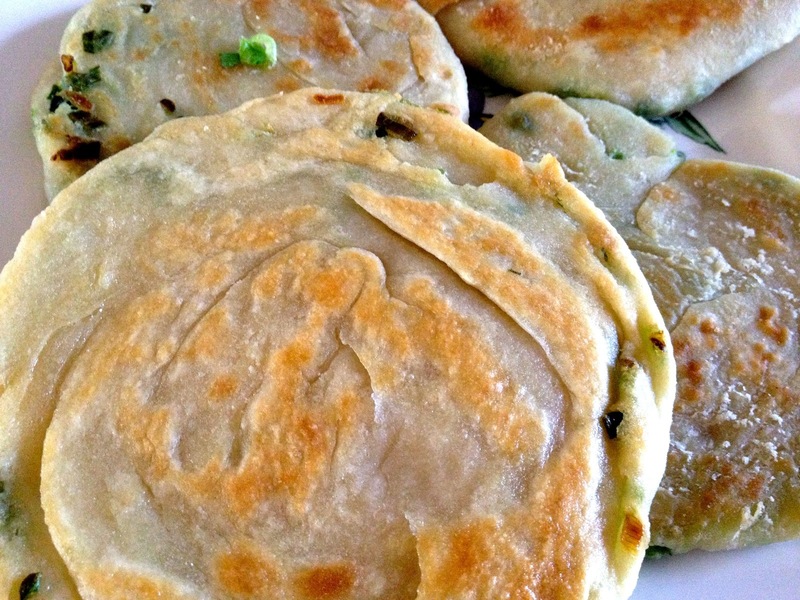 I hope you try this recipe because it makes the most delicious chewy yet flaky scallion pancakes. YUM. 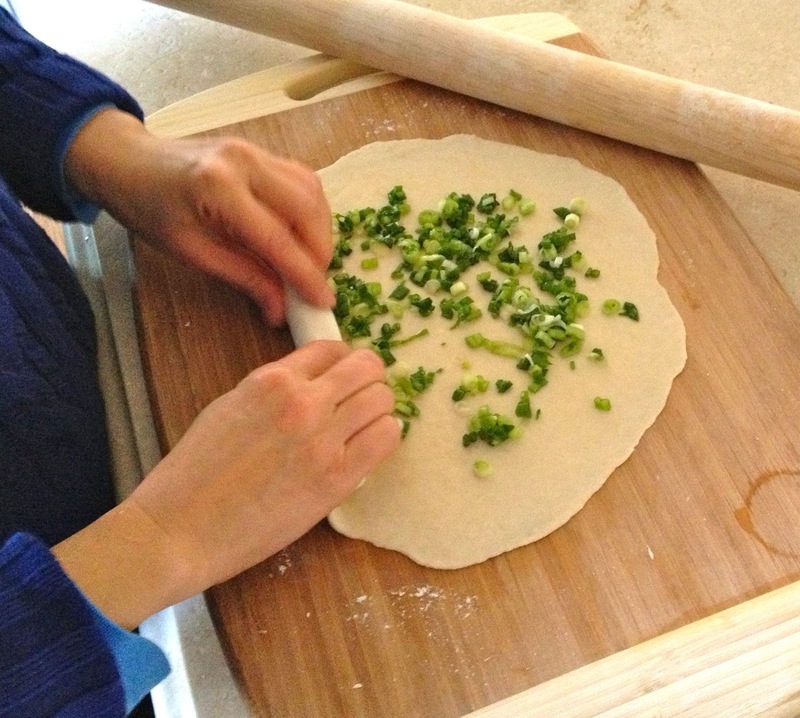 Prepare your scallions by washing them, shaking off excess water and chopping them into small pieces. Then, mix the salt into the green onions. Add in the room temperature water gradually and knead the dough in between each addition of water. 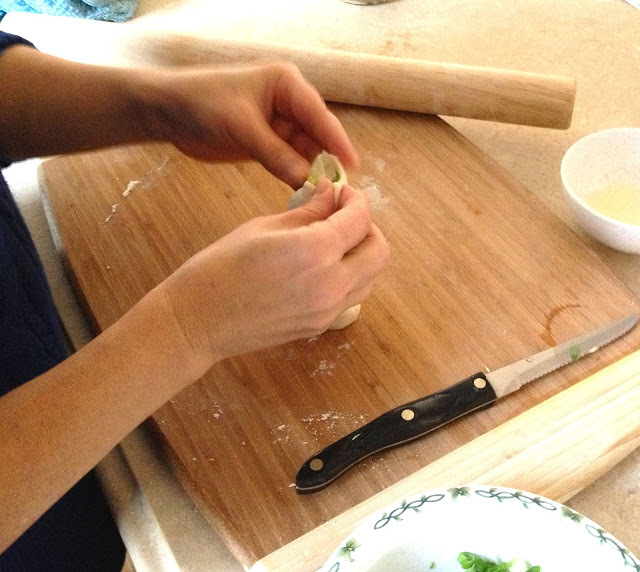 Knead the dough until it does not stick to the bowl or your hands. 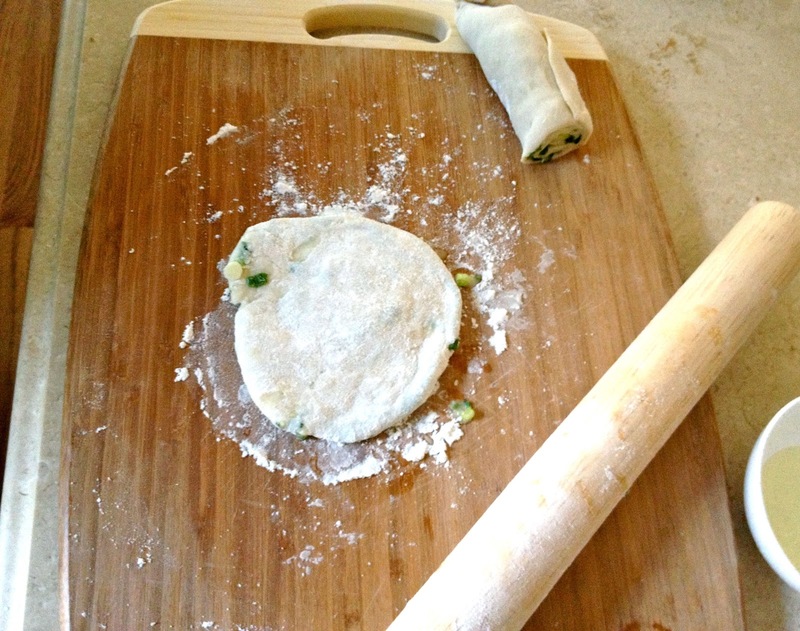 If it still sticks, you can add some flour to the dough. 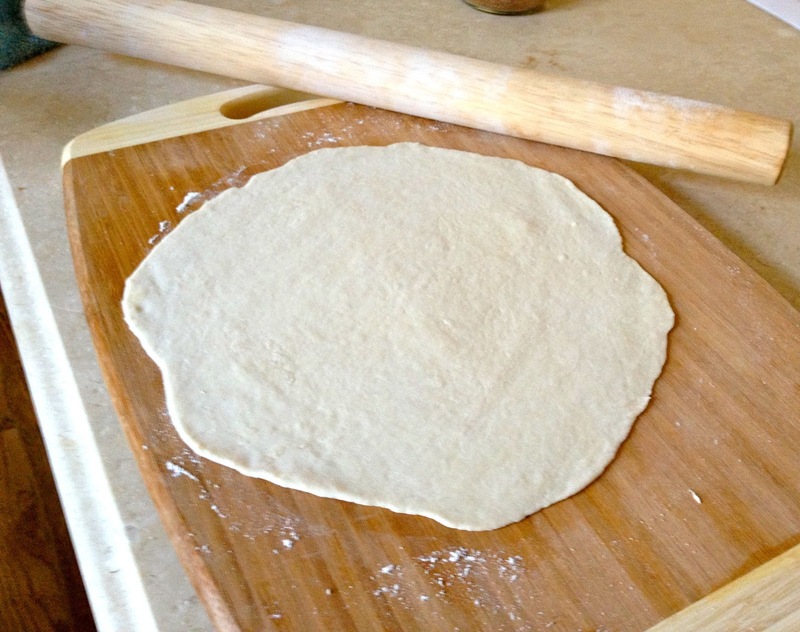 Place the dough into the bowl and cover the dough with a wet paper towel and let it sit at room temperature for 30 minutes. After 30 minutes, put it in the fridge for another 10-15 minutes. 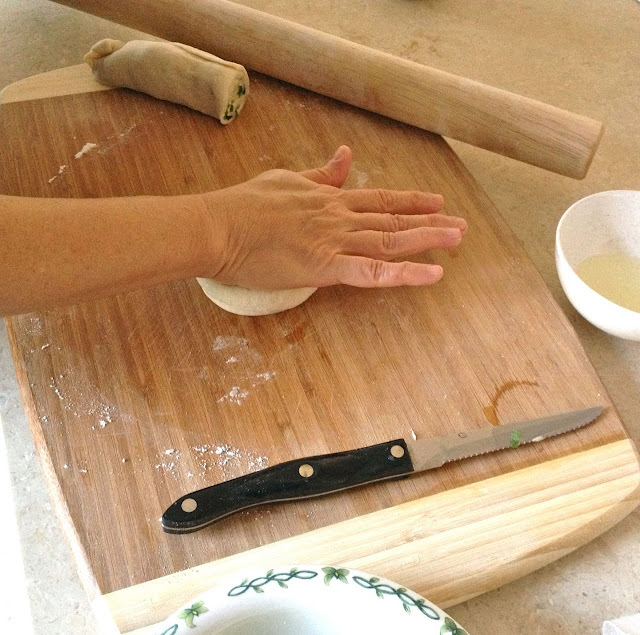 Prepare your cutting board by sprinkling flour to ensure the dough will not stick. Take out dough and grab half of the dough and roll it out into a large thin sheet. Pour a very small amount of oil onto the dough and spread almost to the edges. 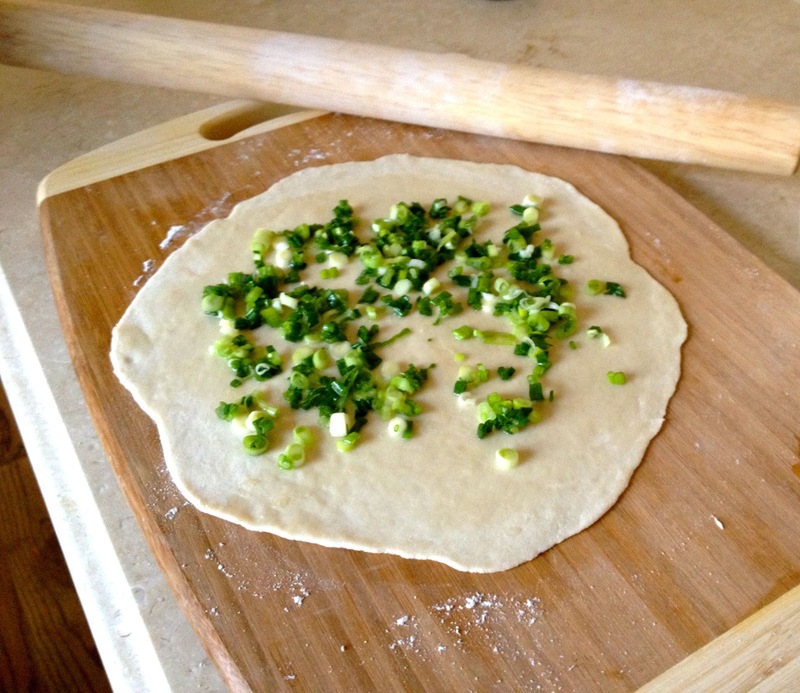 Sprinkle green onions on top. Roll up the sheet (like a jellyroll). Pinch the ends and cut it into smaller sections (We cut it in half, but you can also cut it in quarters, etc). Pinch the ends of each section. 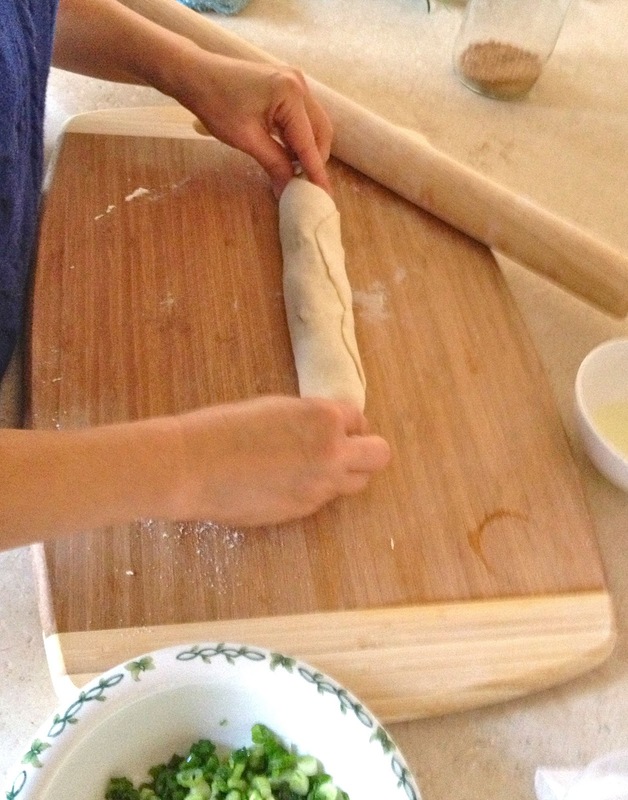 Place the dough so it's standing lengthwise and then press down the dough with the palm of your hands. 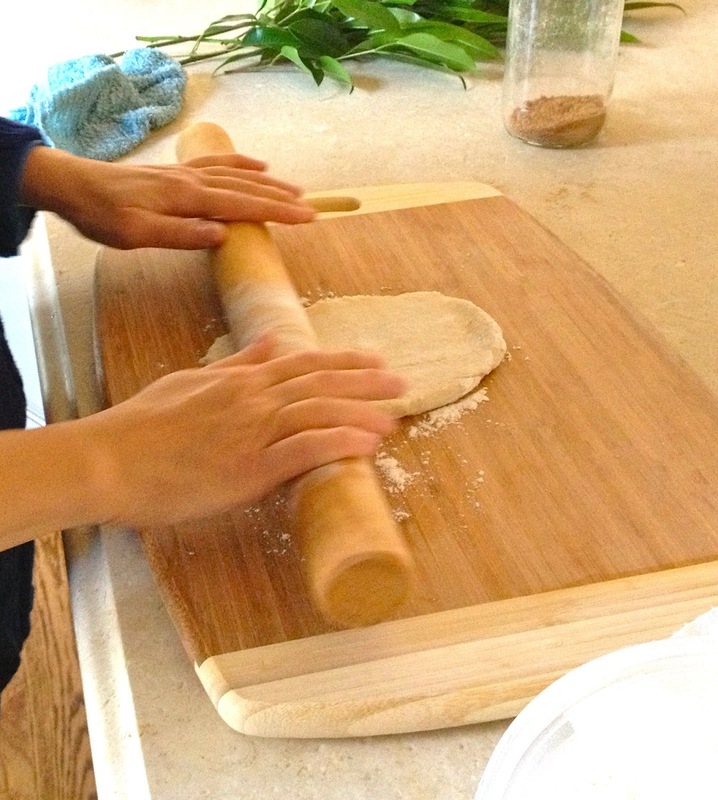 Finish flattening the dough with the rolling pin to the thickness you want your pancakes. Heat cooking oil at medium heat in a frying pan. 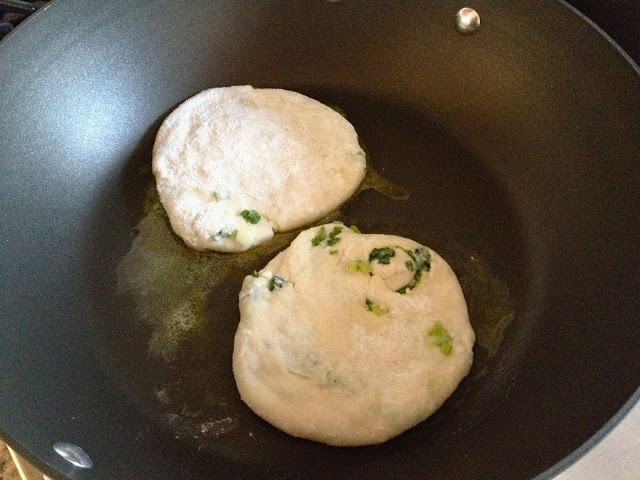 Once oil is heated, place pancakes in pan and flip once you get a golden brown color. Remove them from the pan once you get the desired golden brown color on both sides. These freeze really well! Just package them in freezer bags. When you want to eat them, defrost them in the fridge for a day, quickly re-fry them right before your meal and they taste fresh!